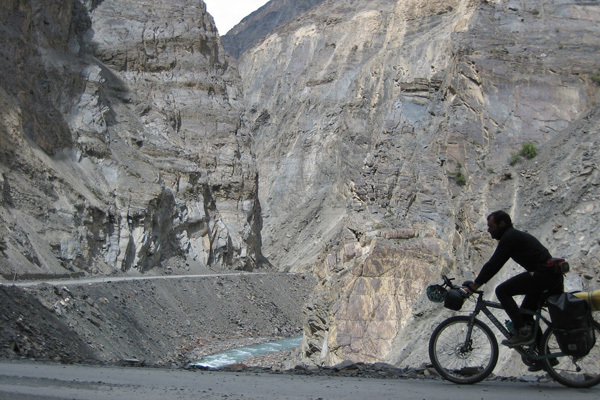 A mountain biking trip to the most beautiful places of the mythic Karakoram highway, to Khunjerab Pass (4700 m above sea level), doing some detours to great sites like: Chitral Valley, the lost city of Kailash and a trekking to the Base camp of the Nanga Parbat. In 1966 China and Pakistan started the construction of a route, which goes through the highest mountains of the world, between the Pamir and Karakoram mountain ridges one of the biggest engineering projects in history. 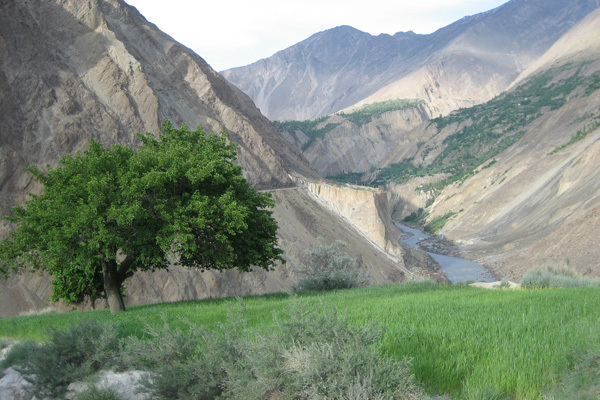 (Until 1966, there were sections on this route only accessible by mule ort horses, sections of the ancient “silk route ”). To make the road feasible and resistant to weather changes, mountain landslides,etc. it was necessary to mine big portions of the existing path and built hundreds of bridges. To make this master project come true it was thanks to team work of two countries and 25.000 workers. It is said that for each 1.5 km of the route, a worker died. The route was officially open for tourism with the opening of theKhunjerab Pass1st of May of1986 . 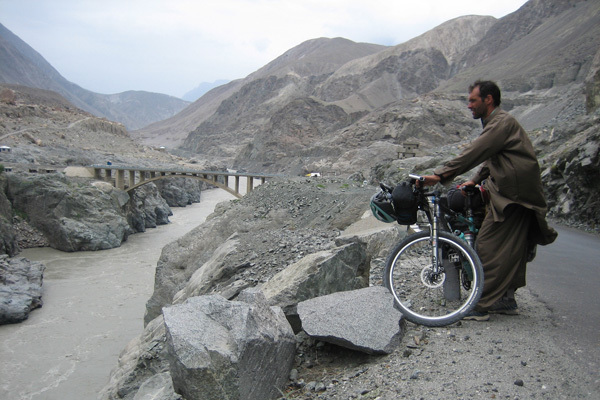 Nowadays it is mostly paved of its1.200 km, which join Havelian (90 km at North of Islamabad) with Kashgar (China). But there is still 20 % unfinished with endless maintenance works. 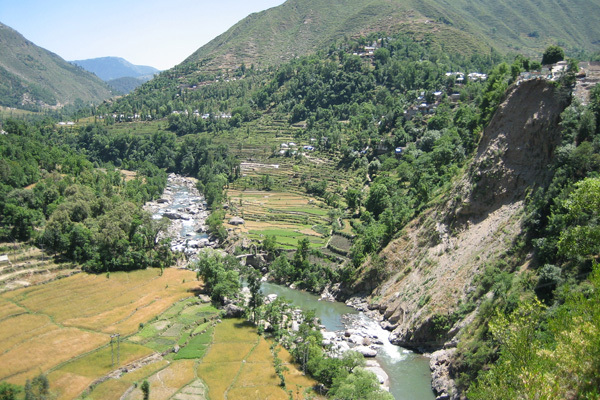 Land slides, avalanches and river floods constantly erode the route. 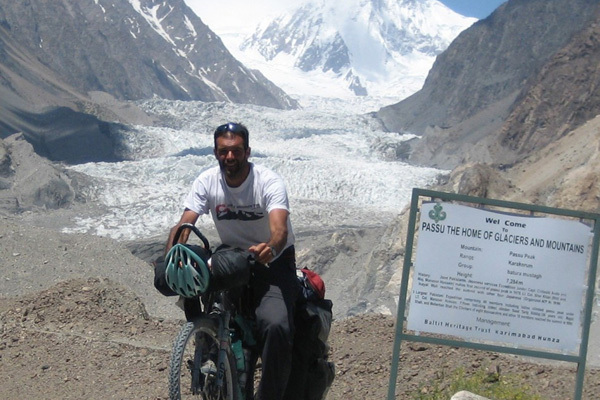 The “Karakoram Highway covers huge part of the mythic silk route, which was the first stage of my long journey to the heart of Tibet and Nepal” saysMariano Lorefice, Patagonia Biking Founder and head mountain biking guide. 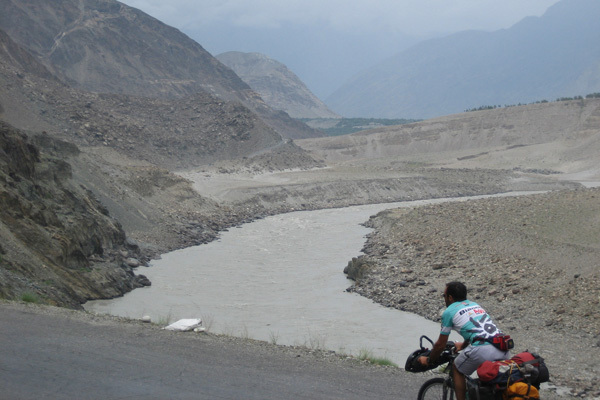 It is fascinating to ride with the mountain bike on theKarakoram highway and discover the great variety of cultures and ethnic groups, which have been passing and leaving unerasable marks through the last 2300 years. The great quantity of valleys, offers the possibility to enjoy diverse and uncountable types of landscapes. When traveling through this route one has the feeling that is traveling through dozens of countries. 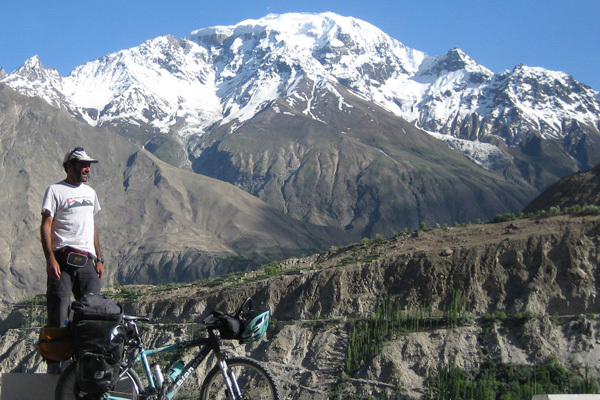 Chitral valley (1600 m above sea level), Kailash, Shandor Pass (3750 m), Phandar Lake (2200 m), Gilgit (1500 m), Hunza Valley, Karimabad (2400 m), Gulmit, Sost (2750 m), Khunjerab Valley, Kukril (3900 m), Khunjerab Pass (4700 m), Fairy Meadow (3300 m),Nanga Parbat base camp. 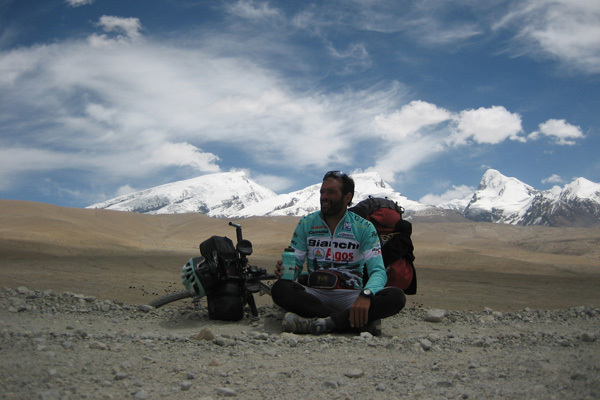 950 km mountain bike riding. 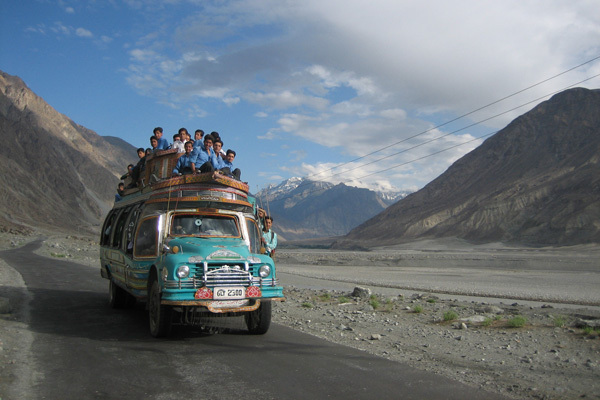 There would be several sections onminibus and jeep: the section to the Chitral Valley, to Fary Meadows and return trip to Islamabad. Medium with some demanding sections. 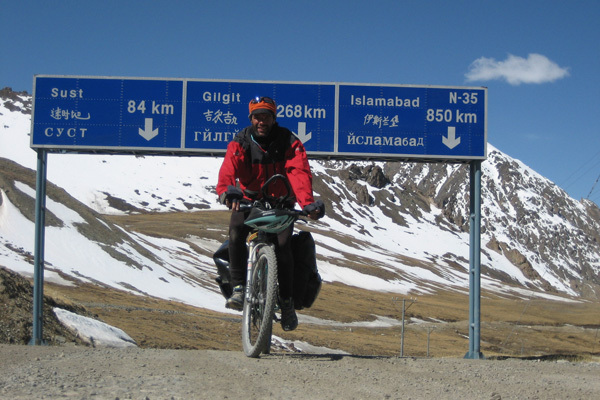 During the trip we will be riding our mountain bikes between 1200 m3500m above sea level, reaching the maximum height at 4700 mt, when we get to Khunjerab Pass. We will make gradual acclimatization. 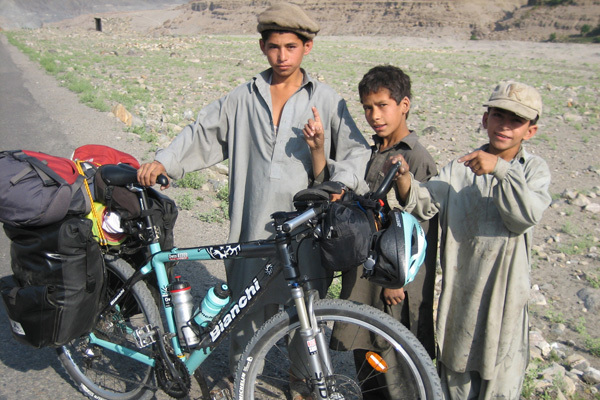 There are 10 sections of about90 km mountain bike riding per day and about 90 % of the roads are paved . 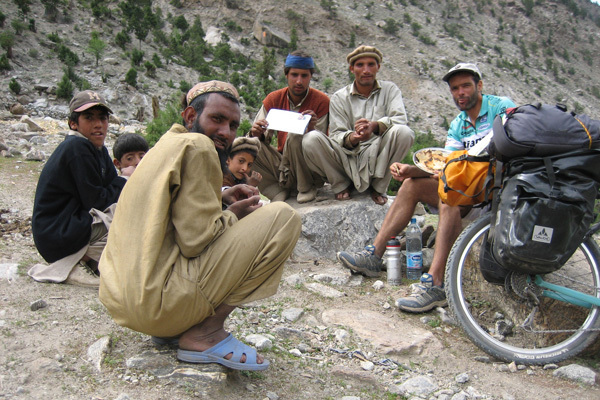 During our mountain bike trips we serve 4 meals daily: Breakfast, lunch, snacks, dinner, desserts plus energy boosters will be provided during the ride. The diet is based on carbohydratesand takes into consideration the needs of cyclists and their tastes. Red meat, chicken and fish are available. Vegetarian food is provided for those who require it.. The snacks during the trips are crucial for an efficient ride. Energy bars, cereals and fruit are used as snacks during the ride. Water is the most important thing, during the meals we offer also juice as an option. We have comfortable vans for transportation with enough seats for everyone in the group. This vehicle will drive along with the group offering assistance when it is required. During the stop overs this vehicle will provide us with food and water. minimum 8 people. Registration should be confirmed six months in advance to organize the complex logistics of this trip and to get the best flight ticket rates.